Gettys ONE was honored to be a part of the renovation of one of Chicago’s finest Art Deco skyscrapers—a historical landmark that was originally designed to house the Chicago Motor Club. Since the building’s completion in 1928, the interior and exterior of this landmark have been changed very little. Restorers have worked to keep as many original details as possible, including the grand lobby’s 33-by-29 foot mural of a map of the United States’, featuring the most popular driving destinations in the country at the time of its creation. 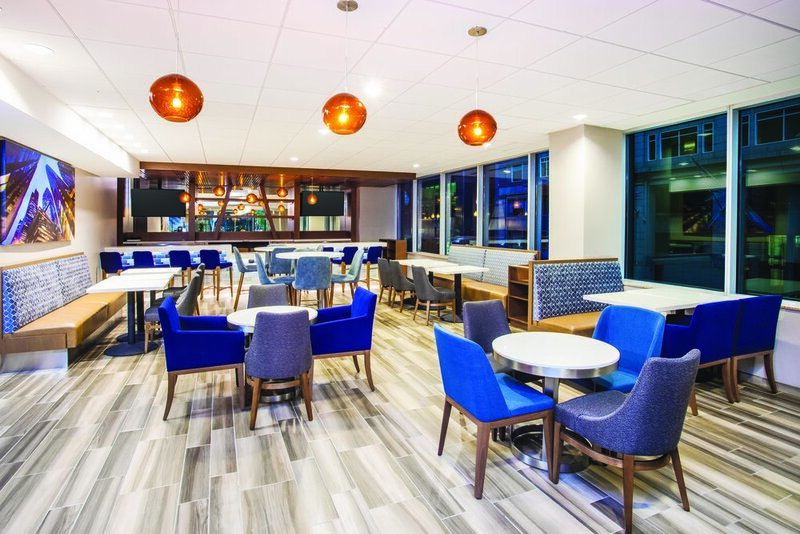 The Gettys ONE team sought to enhance the building’s Art Deco features, staying true to the spirit of the era, while introducing clean, contemporary elements that connect with the Hampton Inn guest.